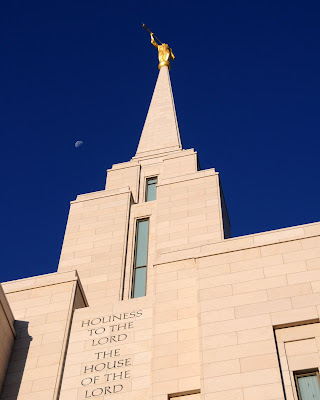 There are many things about the Church of Jesus Christ of Latter-Day Saints that really make me happy and grateful to be a Mormon. 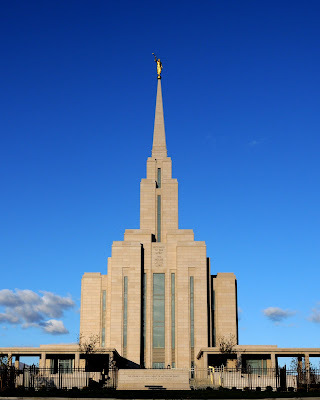 The other day I was blessed to have the opportunity to attend a sealing at the Oquirrh Mountain Temple. A sealing is a marriage that takes place for not only time on this earth but for the eternities. It is a blessing that ties you together with your spouse and children after you have left this earth. It is a very special occasion for all who choose to enter into this covenant. 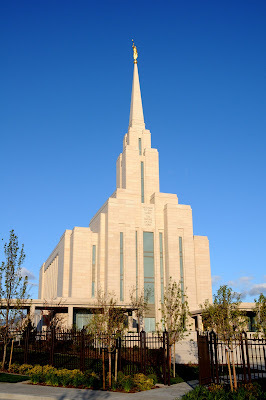 If you would like to read more about what goes on in the Mormon Temples, click here and read about it. Kris and Dennis have been through a lot to get to sealed for eternity. Sitting in the room with them and their family and friends was so beautiful. The love in Dennis' eyes as he looked at his lovely wife was so touching and sweet. The gentlemen that was conducting the ordinance was so inspiring. He told them to remember that each of them are alive because of each other and that if things get difficult, remember that they are here for one another. I loved getting to share that very special day with them. Thank you for inviting me, Kris and Dennis. You are an amazing couple!